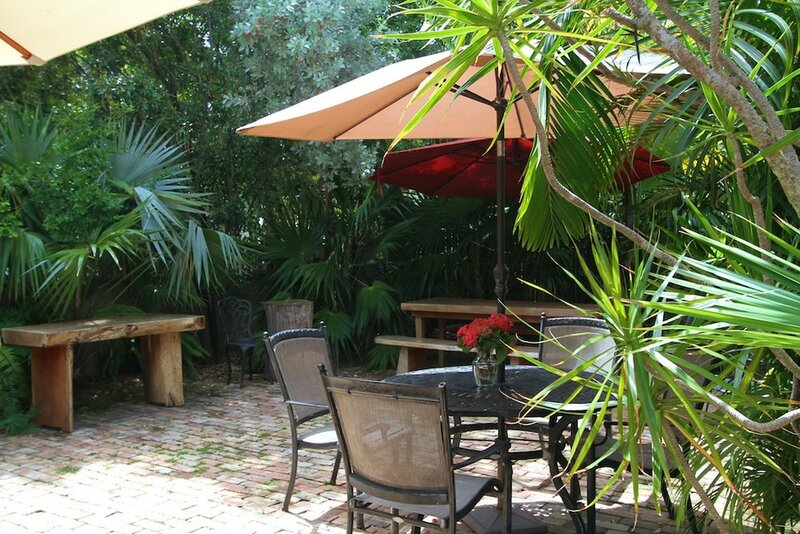 Authors Guesthouse is located in the Old Town district of Key West, near the Historic Seaport. We are not far from beaches, restaurants, bars, shops, live theatre, museums, tennis courts, and of course various water activities including fishing, sailing, snorkeling, scuba diving, boat rentals, etc. Your senses are stimulated during the day by the brilliant bloom of bougainvillea and delicately scented blossoms of the flowering orchid tree, and soothed at night by the lighted stained glass in the garden and pool areas. Wooden walkways lead to a red brick patio and pool where you'll find chaise lounges for your lazing pleasure. 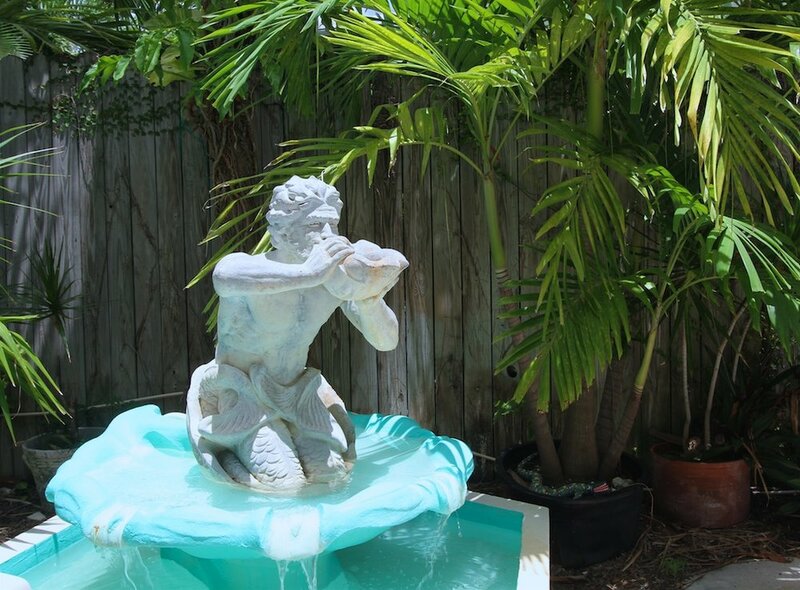 Our convenient "Meadows Neighborhood" location allows you peace and quiet on property while being close to all the attractions that Key West has to offer. Authors Guesthouse has dedicated each of its smoke-free accommodations to a specific author who made Key West a full or part time home. Each room, with its individual decor and direct outside entrance, contains works and artifacts of the author for whom it is named. 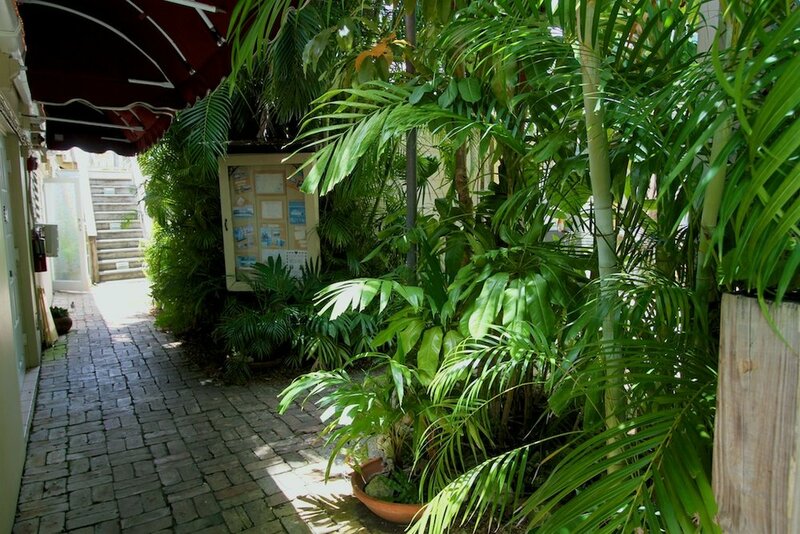 The compound consists of two small cottages, designed in a familiar Bahamian Conch style, which were originally the living quarters of cigar makers, who enjoyed a thriving business in Key West during the early 1900's. The main house is a large masonry structure with many windows, french doors, decks and terraces.